The United States Postal Service (USPS) filed their proposed price changes with the Postal Regulatory Commission (PRC), which were approved. The approved price changes will officially be in effect on January 27, 2019. LetterStream will be implementing our new prices to reflect the rate increases on Friday, January 25th at 4pm Arizona Time (6pm EST), so we recommend planning ahead and approving your mailings before the price increases are officially in effect. Any job in our system that has been approved and paid for prior to 4pm on the 25th will have old postage prices, even if we mail it on Monday the 28th. Following is a list of postage changes for some of our primary products. For more information, click here to review the USPS press release. For a complete list of rate changes, you can download data files from the USPS website by clicking here. 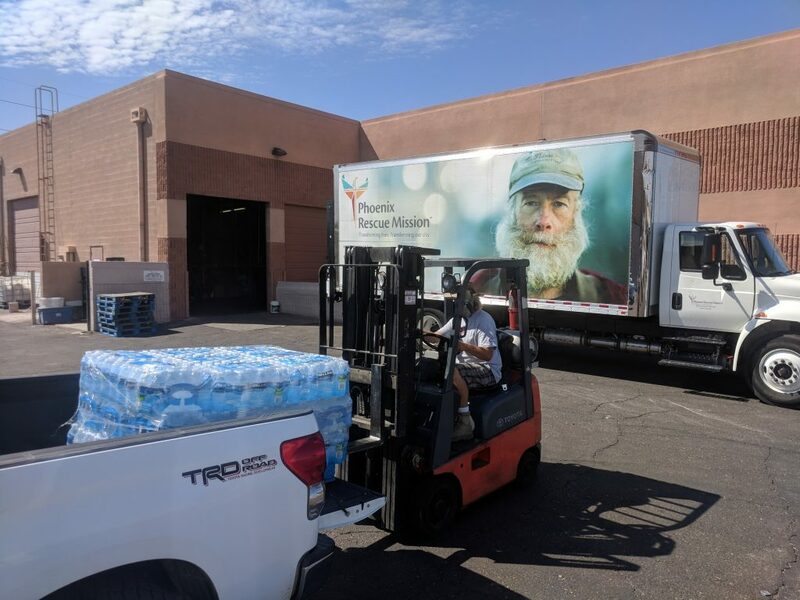 While the summer winds down in Arizona, the food pantries around the valley have depleted their stockpiles of bottled water and seek to replenish their inventories. Brown Management, a longtime customer of LetterStream, participated in the Code Red water drive this year and invited us to join along. 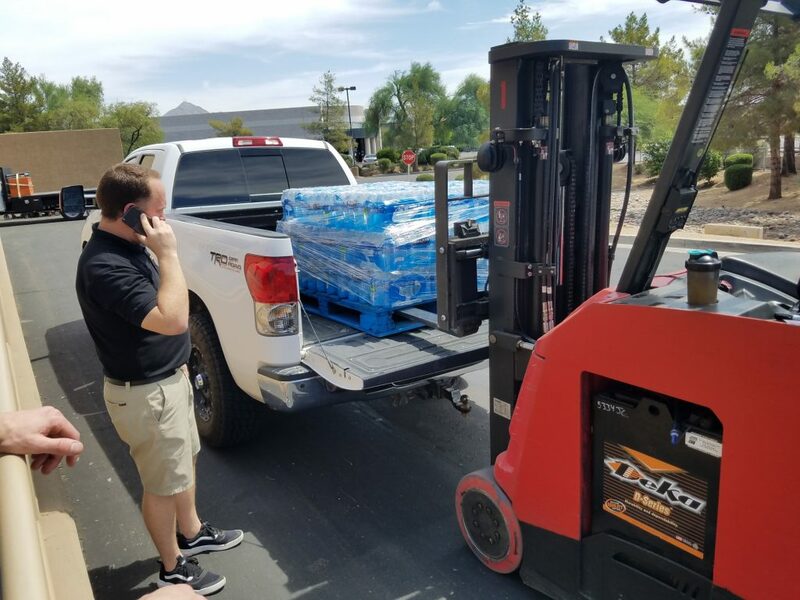 Code Red is the name given to the annual water drive that the Phoenix Rescue Mission promotes in order to replenish their water supply. The mission, operating in the Phoenix area, is committed to assisting families and individuals with their physical needs with a special focus on the homeless population and frail seniors. Their drive collects water for distribution throughout the valley to prevent heat related deaths. According to their website (www.phoenixrescuemission.com/codered) over 100 people die each year in Arizona as a result of excessive heat. A special thanks goes out to Brown Management for inviting us to participate in this important local event. 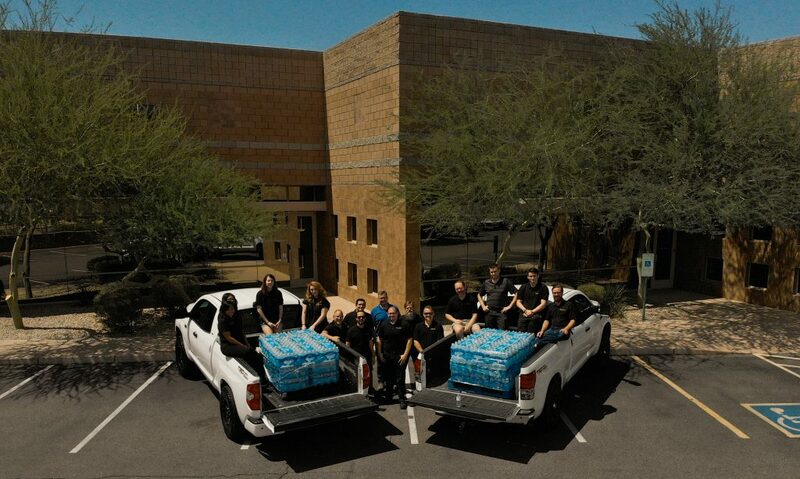 The LetterStream team, as they often do, rallied around the task and filled two pickups full of bottled water. When all tallied up, nearly 2,000 bottles were donated by the team. We love that the LetterStream team can come together to complete all sorts of projects, not just those related to printing and mailing. We always hate to hear about letters not making it to their desired destination, after all, we are a communication company. And yes, we do get to blame some missing letters on the USPS, but sometimes the blame works its way back to us. And that’s fine, its a role that we play, but I’d like to share a response that we’ve been able to offer to our clients to help them out. Before I jump right into the details, I think it important that you know that we have processed over 1 million mailing jobs for clients. And if each job had 1,000 recipients, then we’ve processed over 1 billion pieces of mail. I say this not to gloat, but to let you know that the information we provide is from the viewpoint of an expert of experts. Here is the response we like to use. So sorry to be the barer of bad news, but technically, no proof of mailing exists after-the-fact for First-Class Mail. We offer various forms of mailing proofs for purchase before a mailing is sent out. These include: certificate of mailing, certificate of bulk mailing, certified mail and affidavit of mailing. Since these items were not purchased in advance, there really is no “proof” that the mail happened. However, we can offer an Affidavit of Prior Mailing, which is a legal document where we attest that we did everything correctly. Unfortunately the fees for this service are $50; mainly because we tear the building apart and attempt to recreate exactly what happened on the day in question. We really find out exactly what happened to every piece of mail. All that said, I think you are really wanting to know if the mailing went out on time, to all the recipients listed in the address file. The easy answer to this is; certainly. We track every completed piece of mail with a high speed camera. The camera looks at the unique mail piece ID and compares it to the database of pieces that need to be mailed. If these items don’t match up exactly we jump in and find out what went wrong. Ultimately all jobs “reconcile”. Are we 100% positive that every single piece made it to the postal service? No, but we are 99.9999% positive that your mailing went out exactly as specified. “But why are the board members saying the mailing didn’t go out?” We hear this concern fairly often, but each time we research it, we find that we’ve done everything correctly. And ultimately the board members all receive their mail. The concerns are often brought up by homeowners and often in response to an HOA Board member asking them as they communicate casually in the neighborhood. 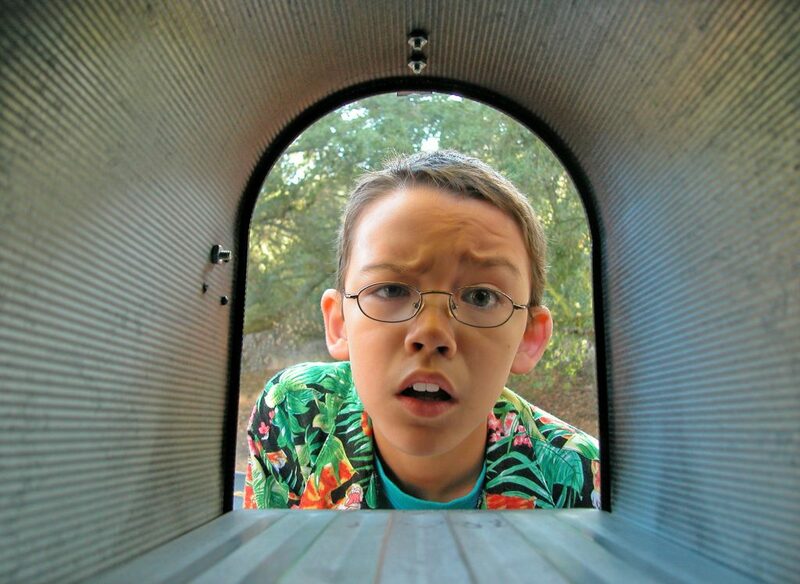 There are a few things that can be done when board members express concern about missing mail. First, ask if they received their letter, and if not, ask if they would check their mail carefully. Second, ask the Board member who reported someone else’s lost mail to check back in with the homeowner and see if they received it. A slightly different way to approach this topic is to review the use of the LetterStream tools that we make available to help mail get noticed. As I reviewed the outer envelope of the mailing in question, I noticed that you could have taken advantage of our free Endorsement printing. We allow our customers to put big bold text on the outer envelope to draw attention to the envelope. We offer this to prevent concerns exactly like this. By offering and encouraging the free use of an Endorsement, the amount of lost mail complaints has gone down. You can add things like “Important Neighborhood News” or “Urgent Community Meeting” or similar wording. Another thing we encourage communities to do is make sure and use the community name in the return address area of the envelope. While community management companies would like to think that every homeowner knows who they are, this simply isn’t true. And if someone can’t identify the personal relevancy of a piece of mail to them, they generally cannot recall getting it. If you add the community name to the return address and add the endorsement printing I think you’ll find far fewer concerns about lost mail. Hopefully this has provided a little extra insight into how people both mentally and physically process their mail. In addition, maybe its given you some tools to ponder the next time you create a mailing in order to achieve maximum impact. Postage rates are going up again this year as the USPS raises their prices to keep up with rising costs. This year the PRC didn’t squabble too much with the USPS over their proposed rates, so most will be the same as the October 2017 rate proposal. These new rates will take effect on Jan 21st, 2018. LetterStream will be implementing our new prices to reflect the rate increases on Friday, January 19th at 5 pm. Any unscheduled job in our system that has been approved and paid for prior to 5pm will have old postage prices even if we mail it on Monday the 22nd. For that reason it pays to plan ahead and get your mailing out before the price increases are officially in effect. As a reminder, LetterStream raises our prices by the amount of the retail postage increase. Below is a list of postage rate increases for some of our primary products. At the start of each new year the USPS typically announces new pricing, and this year is no exception. Effective January 22nd, new USPS prices will take effect. 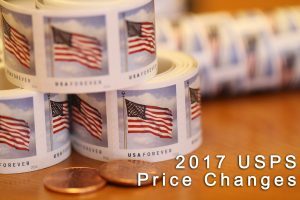 You might recall our post from last year regarding the 2016 USPS price changes. We talked a lot about the price of a First-Class stamp being decreased by $.02 (from $.49 to $.47). This year it’s going back up two pennies. Initially, this seems like a bit of a bummer. But look at the bright side. 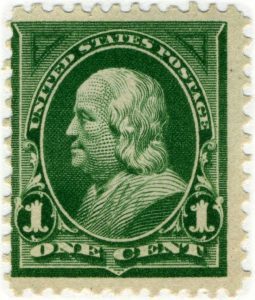 The decrease that happened last year was the first time the cost of postage went down since 1919. So hypothetically, had it gone up a couple cents last year and this year again, we would be closer to $.53. Let’s choose to be optimistic and still consider ourselves winners with the 4 cent swing. You could also try and stave off the postal increase a little longer by purchasing a few extra forever stamps at your local post office before the new rates go into effect. Another notable change moving forward is that Standard Mail will now be known as Marketing Mail. Not to add to the confusion, but Standard Mail is/was the name of what many of us know as Bulk Mail. Standard Mail should not be confused with First-Class Mail which is what most of our customers send regularly. 2D or Not 2D; That is the question. What’s that black square beside the Recipient address? The little back square visible on some documents near the mailing address is called a 2D or two dimensional bar-code. It is not yet on all of our mail pieces, but most of them (such as Express Letters, Certified Letters, Postcards, and many others). It is currently being rolled out in phases to ultimately appear on all mail that goes through our building. It’s not a traditional bar-code that is composed of various parallel lines, but instead is made up of tiny squares which allow a lot of information to be packed into a smaller space than other types of bar-codes. But why is it on your mail? This code is used by our high speed scanning equipment to make sure that we account for all the mail that our customers ask us to send out. The 2D code shows through the window of an envelope (or appears next to addresses on postcards, fliers, flats, etc.) which allows us to see, at very high speeds, that each document went into its own envelope. This system gives us detailed information so we can further prove that we are doing a great job for our clients. 2D or not 2D? Yes, it has been a philosophical debate for us to decide whether or not this is the right answer. Because as it is, our mail is nearly perfect already. Of all the jobs that we print and mail, over 99.99% are perfect. (Yes, we can say this to you, because we know you will call us out if we are not telling the truth and because, well, we keep track.) This 2D system is costly, but it is being implemented to give us greater insight into every piece of mail that travels through our facility. Do we need this system? Maybe not. But do we think every one of our customers deserves perfect mail each and every time? Do we believe we can make more than 9,999 of 10,000 jobs perfect? Absolutely yes to both questions. So if you are like us, wrestling with the appearance of a 2D bar-code on your mail piece, now you know why we thought it would be the best answer. You already know that we are fast at printing and folding your documents and getting them in the mail, but some of you wish the United States Postal Service (USPS) could deliver mail as fast as we can prepare it. Well, for those of you who never can get things as fast as you’d like or need, we just may have the answer. You can now upload a PDF file of your letter or document within your LetterStream account and choose the FedEx Overnight Letter job type. We’ll print your document, (not fold it), and put it in a FedEx overnight letter envelope. And depending how early in the day you create and pay for your mailing, we might just be able to get your letter delivered the next business day. Need your document mailed to many different addresses? Simply upload your mailing list (click here to learn how) and our sophisticated, yet simple, address mapping tool will help you pick the right fields for your mailing addresses. Image this, you are in New York trying to get a proposal (or some other document with a deadline) delivered to Boston tomorrow. Unfortunately it is already 5 pm in New York and its too late to get it in the mail. But, if you load your document to the LetterStream website (where some months it will still be 2pm), we can print and mail your important documents and have them delivered to your recipient in Boston via FedEx by 3pm the next (business) day. Between you and me, I call that extremely fast! Currently we have an introductory flat rate price for anywhere in the US. That makes for easy math and a simplified decision making process so you can focus on getting your job loaded instead of pondering all the different mailing and pricing options. If you like fast, FedEx and LetterStream may be just what you are looking for to get your next mailing delivered quickly. We had a fun day today. Well, we probably have fun most days, but today we launched our new internal training brand; LSLearns. LetterStream always wants to develop, and cultivate an internal culture of learning to go along with our already “fast and perfect mail” mantra and our “mad customer love” vision for customer service. It is our belief that as employees grow and learn they start to discover their unique talents that can unlock a tremendous amount of capability. David, our President, is often heard saying that inside everyone is a hidden super power that can manifest itself in the workplace in amazing ways. LSLearns is an attempt to formalize our belief that people, when awakened in the right way, can do amazing things. Some skeptics may say, “Ah, this is just an attempt to squeeze more productivity out of people”. We might respond; “Sure! Sort of.” After all, what’s wrong with more productivity? But “squeeze” probably doesn’t capture the essence of our training efforts, instead we might use the word “foster”. By creating training, learning and growing opportunities we allow our employees to decide how much effort to put into their own career development plan, and hopefully inspire them along the way to be excellent at whatever it is they are doing. Leader of Leaders and Learner of Learners, Kay Coleman, helped us launch the day, and our new brand, by leading us through some activities to engage our minds in different ways. Kay has been an active learner, teacher and facilitator for most of her life, was Program Director with iLeadAZ – a program developed to lead school principals to greater success, and now provides consulting services to companies (like ours!). Thanks Kay, for coming along side us with our passion for learning!